Phil Durgan, 1966-2014. Gone too soon but his art lives on. 50% of the proceeds are donated to his family. 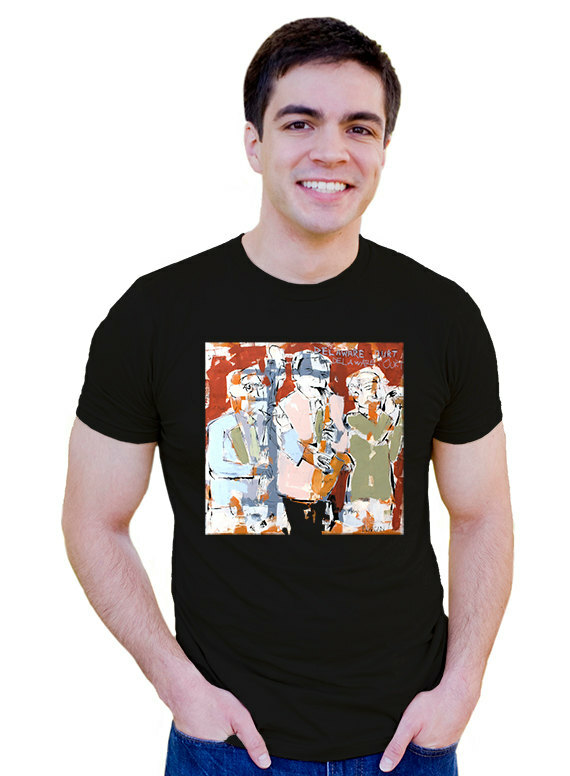 Phil is pictured wearing one of the t-shirts, in the second image, while standing in front of the original painting. 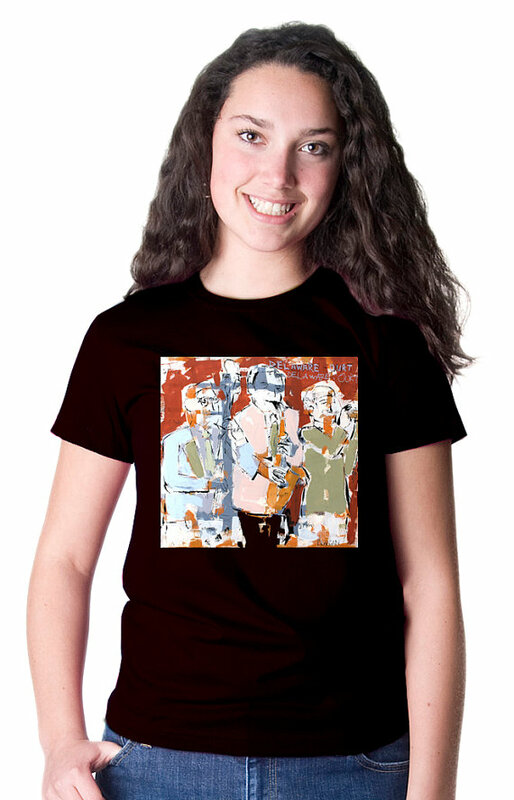 This “horn section” painting will be a great addition to any jazz enthusiast’s collection. Phil Durgan, 1966-2014. Gone too soon but his art lives on. 50% of the proceeds is donated to his family. 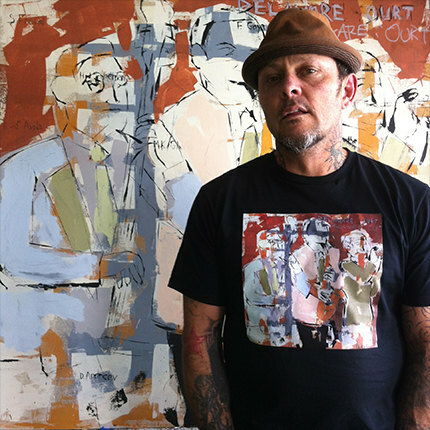 Phil is pictured wearing one of the t-shirts, in the second image, while standing in front of the original painting. This premium one piece is very soft and has a thick feel. It’s 6.0-6.5 oz 100% ring spun cotton. Quality that you can feel proud of when giving as a gift or putting on your own little guy or gal. Wash inside out on cold and dry low heat or lay flat to dry. 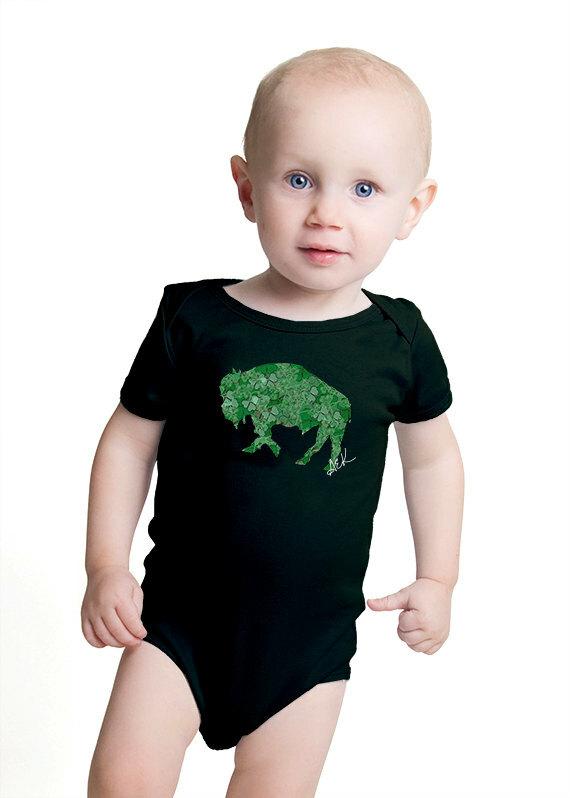 As with all our offerings, we can print this design on Infant through adult sizes as well as pillows and totes. Just message me if you can’t find the size you’re looking for. 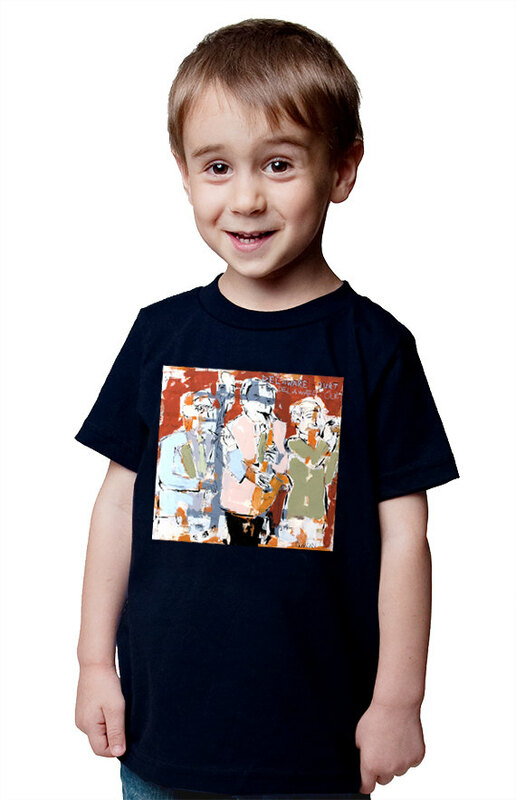 Be the first to review “Phil Durgan “Horn Section” Art Onesie” Click here to cancel reply.